In December, 1948, at Pennsylvania’s Saint Vincent College, Erwin Panofsky delivered the second annual Wimmer Lecture. Founded in the first half of the nineteenth century, the college was run by Benedictine monks, and the lecture series honored the memory of the founder abbot of Saint Vincent, Boniface Wimmer. As he addressed students and monks and others, Panofsky’s topic, combining the architectural and philosophical fields, was “Gothic Architecture and Scholasticism.” As Norman F. Cantor put it in Inventing the Middle Ages (1991), Panofsky had the Midas touch that turned straw into gold. Cantor cited as an example what was to him “an obscure American Catholic college” asking Panofsky to lecture on Gothic architecture, and the resulting book going through ten printings in a decade. Erwin Panofsky was born in 1892 in Hanover, Germany, and died in 1968 in Princeton, New Jersey. He was the same age as J. R. R. Tolkien (1892-1973), but while Tolkien was mired in the trenches of the First World War, Panofsky had earned his doctorate from Freiburg. In 1915 Panofsky published his first book; the following year, he was married. While Tolkien was teaching at Oxford and writing The Hobbit, Panofsky, an assimilated Jew, had to disrupt his own academic career and flee National Socialist Germany for the United States. That evening in December of 1948 the more perceptive members of his audience knew that Panofsky’s Wimmer Lecture on Gothic architecture and Scholasticism filled a niche in the field of medieval studies. Like many great ideas, it is a wonder no one thought of it before. And yet, what Panofsky revealed in that lecture was how a cathedral such as Notre Dame or Chartres was like a book by Saint Thomas Aquinas or Blessed John Duns Scotus. Function and thought, form and language: Panofsky summed up what he called a Scholastic mental habit given to manifestatio, clarification. “A man imbued with the Scholastic habit [of mind],” he said, “would look upon the mode of architectural presentation, just as he looked upon the mode of literary presentation, from the point of view of manifestatio.” All the elements of a Gothic cathedral or a Scholastic argument were carefully articulated and clearly went together to form a reasoned whole. As did Catholic theologians, Catholic architects of the thirteenth and fourteenth centuries sought clarity of function through form. Just as the intellect functioned to study and contemplate God, so a church functioned to worship God through the celebration of the sacraments, especially the Eucharist. The Catholic faith teaches that Christ, while being fully divine, was also “of a reasonable soul and human flesh subsisting,” to use the words of the Athanasian Creed. What follows from the Christian creed is the importance in Catholic culture not only of the intellect, but also of tangible material, whether bread and wine or stone and glass. Panofsky’s insight was that through proportion and distinction of parts, a Gothic cathedral was as solid and precise in its service of Catholic doctrine as was the treatise of a Scholastic theologian. Like his Catholic contemporary, Tolkien, Panofsky was captivated by the Christian civilization that emerged from the Roman Empire. In his Histories, Tacitus had written that in Judaea under Tiberius, all was quiet (sub Tiberio quies), and yet any astute observer today can see that there developed, like a minor theme in music that recurs until it reaches crescendo, the literature and liturgy of the Catholic Church. For Tolkien and Panofsky, medieval culture was vivid and complex. Craftsmen created formulae for stained glass never again equaled, and scholars in then new universities debated questions of universal reality. It was a world appreciating intricate patterns and rich colors, whether in illuminated manuscripts, tapestries, or jewelry. Alongside those achievements of art and intellect roared the violence of war and the cruelty of nasty people. In short, it was an era like our own, because human nature never changes. While Tolkien used his love of the Early Middle Ages to create his own Middle Earth, Panofsky studied the art and architecture of the High Middle Ages and related it to the philosophy of Thomas Aquinas and the poetry of Dante Alighieri. Their various writings show that these twentieth-century students of medieval culture, one from Germany, the other from England by way of South Africa, felt an affinity for what has survived within Western civilization because they came of age when so much of that civilization was cracking apart under hammers and sickles. As the tide of the twentieth century recedes, the books left on what William Shakespeare called in Sonnet 60 “the pebbled shore” are worth our while. Within that span of a hundred years more books were published than ever before, yet few will survive time’s erosion of public memory. Works once declared instant classics are forgotten. Nevertheless, as Joseph Pearce noted twenty years ago, much to the chagrin of the intelligentsia there stands Tolkien’s The Lord of the Rings, still around after almost seventy years. Also among the books surviving from the last century is Panofsky’s Gothic Architecture and Scholasticism. People long to enter into a realm that takes them beyond this world. For that reason they will continue to follow Bilbo and Frodo deep into Middle Earth, a journey like that of pacing contemplatively through a labyrinth in the floor of a medieval cathedral, or following the logic of a Scholastic argument. As their guides through these mazes of prose and stone, they will return again and again to Tolkien and Panofsky. “But now,” declared Sherlock Holmes in The Hound of the Baskervilles, “we have to prove the connection between the man and the beast.” Holmes referred, of course, to connecting a hound and a man, but his statement also sums up a general human fascination with finding mythical beings. In particular, humans have a yearning to find long-lost humans, or what they hope are humans, and so they go on quests for creatures such as Bigfoot or Yeti. In Book 16 of the City of God, Saint Augustine drew upon Pliny the Elder’s Natural History and more recent anecdotes to relate reports of various human curiosities. Augustine noted pygmies and hermaphrodites and also what used to be called Siamese twins. Augustine’s point was that however unusual, they are human and therefore possess souls. 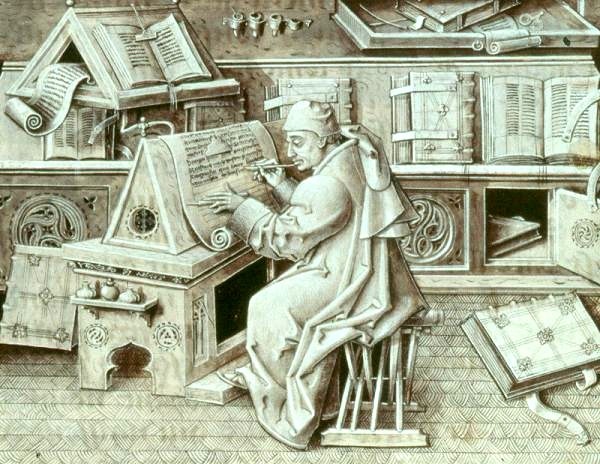 All the anomalies considered by Augustine lived in distant provinces or in lands outside the Roman Empire. With calm detachment, humans always accept the bizarre as being beyond the horizon. Meanwhile, they soon lose patience with the oddball living next door. In 1959, having climbed to the top of Mount Everest six years earlier, New Zealand’s national hero, Sir Edmund Hillary, decided to return to the Himalayas and look for the legendary Yeti, also called the Abominable Snowman. As he assembled his expeditionary crew, Hillary needed a zoologist who could brave the trek into the mountains. Then he remembered an American zookeeper who had built up his zoo by traveling to sub-Saharan Africa for animals. And so Hillary sought out Marlin Perkins, director of Chicago’s Lincoln Park Zoo. Perkins had expanded the zoo, gaining national attention and appearing on the cover of the 7 July, 1947, issue of Time magazine. From 1950 to 1957 he was on Chicago television hosting Zoo Parade. Before making his mark in Chicago, Perkins had served as director of the zoo in Buffalo, New York, where he added a reptile house. Born in 1905 in Carthage, Missouri, to a local judge and his wife, Perkins loved the outdoors. Whether as a boy at Missouri’s Wentworth Military Academy or later, Perkins collected reptiles, especially snakes. He dropped out of the University of Missouri, saying he saw no sense in getting a degree in a subject one loved only to take a job in an office somewhere. With some biology and Latin under his belt, he went to work at the St. Louis Zoo, trimming hedges and sweeping sidewalks. Thin and dapper, whether in a dark suit and tie or khakis and a pith helmet, Perkins had prematurely white hair cut short and parted on the right, as well as a pencil mustache like that of a 1930s film star such as Don Ameche or Clark Gable. From 1963 to 1985, he became known across the country and then around the world through an award-winning half-hour television show, Wild Kingdom, sponsored by a Midwestern insurance company, Mutual of Omaha. Each week Perkins narrated footage of him in exotic locations documenting equally exotic animals. In fact, Perkins was no stranger to risk. As a young man he went into Louisiana swamps to catch snakes. In middle age he suffered a near-fatal rattlesnake bite, and later, a broken nose and broken ribs from being knocked aside by an elephant. A crack shot, the only time Perkins used a gun was to shoot a tranquilizer into an animal so he and his team could tag and study it. Long before those encounters, in April, 1923, he set the tone for his life of intrepid daring when he and an older brother decided to return home to Missouri from a year working odd jobs in California by buying a 1912 Harley-Davidson motorcycle with sidecar and driving it across the Rockies. When Hillary recruited Perkins, it was summer, and they were walking briskly down a street in Chicago. Hillary’s plan intrigued Perkins, but Perkins wondered if his age, 55 by the time they set out, would be an obstacle. Hillary, age 40, tall and square-jawed and personifying “rugged,” observed that Perkins was having no trouble keeping pace with him. After the expedition, Perkins wrote up his findings for the 1962 Year Book of The World Book Encyclopedia, and in his memoirs, My Wild Kingdom (1982), he included a chapter about searching for Yeti. World Book’s publishers had underwritten Hillary’s expedition, and the 1962 Year Book included a five-part report compiled by members of the team. Perkins’ section of the report described their work in autumn, 1960, in Nepal, where Sherpas, their local guides, showed them hairy scalps and large paw prints in the snow, both phenomena attributed to Yeti. Thirty-seven years after Perkins’ adventure, at the eastern end of the Himalayan range, another American explorer heard local accounts of Yeti. Recalling his time in Putao, in what once was Burma, Alan Rabinowitz wrote in Beyond the Last Village, “One old man told of a hunter who had been attacked by a yeti . . . that ‘rushed down the hillside with fangs bared and hands raised to attack him’.” It is a scary story, but vague enough to be describing a missing-link Wild Man or simply a bear rearing up and having none of some human blundering into its territory. In the last chapter of The Hobbit, J. R. R. Tolkien described Bilbo Baggins returning home to the Shire after an absence of more than a year, only to find he had arrived in time to see his possessions being sold at auction because he had been presumed dead. Bilbo buys back most of his property, but one exception is his set of silver spoons. Nevertheless, he soon settles back into his familiar routine of churchwarden pipes and two breakfasts. All the same, he would have liked to have had back those old silver spoons. Useless bits of string can safely be thrown away without harming human dignity, what Psalm 8 teaches about man being made a little lower than the angels. Yet, man was also made to live above the level of a beast of burden. Beginning around the eighteenth century the West has had a reverence for utility, so that family, friends, neighbors, and even the state consider themselves competent to decide and decree what another person needs. In a stark utilitarian society, humans would be told they need nothing more than 2000 calories per day, a futon in a boxy apartment building, and the satisfaction of toiling productively for the collective. Workhorse, here is your stall and your feedbag. When telling a collector of silver spoons, for example, that he really doesn’t need them and should let go of them, what gets forgotten, paradoxically, is the role of memory. Bilbo and other hobbits had a keen sense of the past and of the importance of things for connecting the generations. After all, Tolkien noted Bilbo lending his suit of chain mail to a museum, and it seems too often overlooked that hobbits sustained a museum. Hobbits can remind humans that it is a seemingly impractical collection of spoons that really makes a house a home. Those spoons might be reminders of vacations taken, or they may call to mind deceased family members who had enjoyed them in ages past. Those spoons are all about life itself. Humans who champion this sentimental and commemorative importance of old stuff are Mike Wolfe and Frank Fritz, hosts of a popular television show, American Pickers. Since 2010 their show has chronicled their travels searching for what they call “rusty gold,” well-aged and often everyday items found off the beaten path. For them, looking for antiquated oddities to buy and resell is about more than making a living. It is about parents, grandparents, and children. In his own book, How to Pick Vintage Motorcycles, Fritz observed how one generation influences the next. He explained how his parents instilled in him a strong work ethic, so that his desire for “things like motorcycles, guns, and fishing poles” meant that he had to work and save, leading him to shovel snow in the winter and mow lawns in the summer. Before long he developed a sixth sense for finding old oil cans and other apparent junk. And so the two adventurous American Pickers have met someone like Bilbo Baggins in a hole in the ground, “not a nasty, dirty, wet hole,” but a painted warren of rooms and tunnels. Wolfe and Fritz grew up together near Davenport, Iowa, but they acknowledge in their Guide to Picking that “Pennsylvania is better suited to our particular needs.” There they find treasure troves in small towns and on family farms, most of the towns and many of the barns being easily a century older than their Midwestern or Western counterparts. Just as Bilbo, at age fifty setting out on his first-ever adventure, faced peril from trolls and dragons, so too have the Pickers faced danger, some inhospitable property owners having been ready to unleash snarling dogs on them. It is an attitude going back millennia: Inside the front door of a house in Pompeii is a mosaic of a dog with a chain and a red collar; even now, it is a resonating image, the caption, Cave Canem, not needing much Latin to translate: Beware of Dog. Human nature never changes, and people cherish their stuff and the memories that it holds. In 1925 silent film star Buster Keaton, his wife, and their two sons moved into a new house just off Sunset Boulevard in Beverly Hills, California. Dubbed the Italian Villa, it sat on three and a half acres, and for Keaton’s wife, glamorous Natalie Talmadge, it was an ideal setting for lavish Hollywood parties. For Keaton himself, it was the perfect location for an outdoor model railroad. Railroads were part and parcel of Keaton’s life. Born Joseph Frank Keaton in 1895 to parents who toured the vaudeville circuit, he grew up catching trains from one town to another. Keaton’s father, Joe, was a hard-drinking Irish-American who drilled the boy in pratfalls that earned him the nickname Buster, but by 1917 the younger Keaton had enough and moved to California, where he appeared in some slapstick comedy films starring Roscoe “Fatty” Arbuckle. Troop trains then became part of Keaton’s experience. After the United States entered the First World War, Keaton was drafted into the Army, being assigned to the Signal Corps and learning map reading and Morse Code. In the summer of 1918, he was sent to France, his unit being kept in reserve and never seeing combat. Along with rain, mud, and monotony, his biggest difficulties were a uniform too big for his sinewy 5’5″ frame and then an ear infection that permanently damaged his hearing. In 1919, back home from the war, Keaton resumed making movies with Arbuckle. Before long, Keaton had his own production company, and he developed a persona whereby when he was in public or being filmed, he never smiled, earning him another nickname, the Great Stone Face. Keaton’s silent films featured him as an earnest if hapless young man stymied by modern technology as he sought the respect of various father figures and above all, sought the affection of a young lady he hoped to marry. As S. T. Karnick wrote in The Weekly Standard (13 March, 2000), Keaton’s films “support conventional morality against Jazz Age libertinism.” A recurring theme in his films is Keaton’s character looking for a judge or clergyman in order to marry the girl Keaton has been courting. Another recurring theme is trains. Throughout his life, Keaton said that if he had received more formal education, he would not have become an actor and director but a civil engineer. 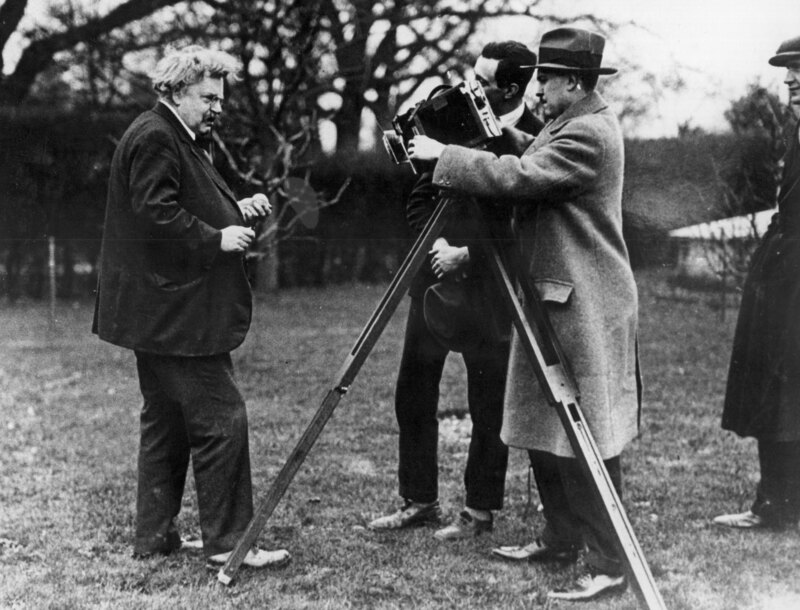 His silent films show a creative mind attracted to challenges posed by physics, architecture, and machines, especially trains, both model and real. From One Week (1920) to Steamboat Bill, Jr. (1928), trains appeared in most of Keaton’s films, and Hard Luck (1921) involved a street car. Our Hospitality (1923) replicated a Stephenson locomotive from the 1830s, and in The Blacksmith (1922), Keaton used model trains. Two more examples will suffice. In The Electric House (1922) Keaton sets up a Standard gauge model train to convey food from the kitchen to the dining room table. Being a comedy, the arrangement goes not exactly as planned. With Keaton, the use of model trains became a case of life imitating art: Whether at the Italian Villa or at a bungalow he owned later in life, Keaton used his model trains to serve food to his guests. A year after setting up a garden railroad at his Italian Villa, where real trees and flowers and rocks served as scenery, Keaton made one of his most ambitious films. Based on an actual incident in the American Civil War, The General (released in February, 1927) stars Keaton as a railroad engineer. Instead of using a model train for various scenes, Keaton used a steam locomotive that was part of a functioning narrow gauge logging railroad near Cottage Grove, Oregon. One way to look at The General and its realistic setting is Keaton toying with the ultimate outdoor train layout. Although there is no record of Keaton deliberately crashing his own model trains, in The General he indulged in what seems to be a primordial male instinct: Boys and their toys, they want to wreck their trains. The climactic train chase and then wreck in The General has become a classic scene in film history. While the country plunged into the Great Depression, Keaton’s 1930s were a time of personal depression. In 1928 he signed a contract with Metro-Goldwyn-Mayer, giving them artistic control over his future films; in 1932 his marriage broke up. Frustrated and humiliated, he took to drink. By the late 1930s, after a second unfortunate marriage, he was in a stable if stagnant period. Now sober, he had his other hobbies of fishing and duck hunting, playing bridge and reading murder mysteries, and he worked as a gag writer for the Marx Brothers. However, those masters of zany verbal comedy had little need for the insights of a man noted for silent physical comedy. “That used to get my goat,” Keaton later admitted. In 1940 he married a young MGM dancer, Eleanor Norris. She was 21, he was 44, but they had clicked right away, staying together until his death in 1966. In 1955 they moved to Woodland Hills in the San Fernando Valley, where the anti-communist but otherwise apolitical Keaton served two terms as honorary mayor. The Keatons bought a modest bungalow, what he called his ranch, and there Keaton built another outdoor model railroad. Roger Carp, writing in the May, 2003, issue of Classic Toy Trains, recounted Keaton’s fascination with model trains. In particular, Carp wrote about Keaton’s outdoor layout at the house in Woodland Hills. There Keaton enjoyed an S gauge American Flyer 4-6-0 326 Hudson steam engine looping around ready-built Plasticville structures. According to a documentary, Buster Keaton: A Hard Act to Follow (1987), another use he had for his model train was more personal. For much of his life Keaton had been a three or four pack a day cigarette smoker. In his late sixties he decided to quit smoking, so he would light a cigarette, put it on his train, send the train on its route, and when it returned to him, he would take a puff on the cigarette, put it back on the train, and send it on another round. In his last years, Keaton suffered from insomnia. When not playing with his trains, he was playing bridge with Eleanor or was up all hours playing solitaire. Eleanor Keaton later said that when he died, he had his Rosary in one pocket and a deck of cards in the other. A few years after he died, she donated his trains to a local children’s hospital. Born 110 years ago today, Father Patrick Peyton, C. S. C., (1909-1992) went from a small farm in County Mayo, Ireland, to New York and Hollywood and world-wide recognition as “The Rosary Priest.” Through vast outdoor rallies, as well as radio, film, and television, Peyton promoted the practice of family prayer, especially urging Catholic families to pray the Rosary together every day. In 2001, the Vatican approved Peyton’s cause for canonization, and in 2017, Pope Francis declared him Venerable. One aspect of Peyton’s ministry that bears highlighting is one he never expected. His original idea was a weekly national radio program on the Mutual network; the program would be about the Rosary. Executives at Mutual rejected the proposal, saying it was too sectarian. However, they had no objection to a weekly national program with a broader appeal. Baffled by what seemed to be God closing a door while opening a window, Peyton nevertheless agreed. Mutual generously donated the air time, but Peyton had to pay all production costs himself. Moreover, Mutual insisted upon each episode having the highest quality and that each week’s show would feature a famous Hollywood star. Thus began a nearly ten-year run of Family Theater. From February, 1947, to July, 1956, it aired as a half-hour radio anthology series, consistently maintaining superior production values and featuring major Hollywood stars. The show’s 482 episodes are available commercially and on line, and their wholesome, if at times now seemingly corny, nature make them ideal for parents homeschooling their children and looking for a way to engage the kids’ imaginations. The first episode, “Flight from Home,” set the standard, with a heart-warming drama about a young couple starting out with every dream and opportunity, only to have to learn how to face adversity with faith. The host was James Stewart, a practicing Presbyterian, and Peyton wrote in his autobiography, All for Her (1967), that “I was particularly happy to have” Stewart as host, “for it was a proclamation to Mutual that I was going to live up to my undertaking to make the program non-sectarian.” Music for that debut performance was by a well-known radio personality, Meredith Willson, who in 1957 earned lasting fame with his Broadway play, later a popular film, The Music Man. As did other radio anthology series of the time, such as Escape or Suspense, Family Theater explored a variety of genres. Most episodes were dramas written just for the series, such as “Last Run,” first broadcast in June, 1953, and telling the story about a railroad conductor’s last run before retirement. Other episodes drew upon the lives of famous authors, such as “Once on a Golden Afternoon,” about Lewis Carroll thinking up the story that became Alice in Wonderland. Science fiction and comedy were also on the bill, respective examples being “UFO” and “The Golden Touch.” In the latter, Jack Benny played upon his persona as a miser and portrayed King Midas. History also had a place, and “The Bid Was Four Hearts” related the heroic sacrifice of four United States military chaplains during the Second World War. Although the host of each program spoke of the importance of prayer, the shows themselves were rarely overtly religious. Two exceptions are worth noting. “Curtain Call for Genesius,” starring Tyrone Power, told the story of a fourth-century Christian martyr who became the patron saint of actors. “The Passion and Death of Christ,” epically reverential, starred Ethel Barrymore; she not only narrated the drama, she spoke the words of Christ, so that in a daring directorial move, Jesus was portrayed by a lady. For Peyton, producing a weekly radio series posed numerous challenges outside his education and experience. In All for Her, he said that he began by simply cold calling Hollywood stars, hoping to sell them on the idea of appearing on Family Theater. As Richard Gribble put it in “The Rosary Priest,” in the March, 2018, issue of Columbia magazine, “At first, he knew virtually no one of significance, but famous personalities, Catholic and non-Catholic alike, soon became captivated by Father Peyton’s charm and total dedication to Mary and family prayer.” Actors appearing on Family Theater donated their time and talent to the show. Another angle that was new to Peyton was how to market a national radio series. Advertising executives at the Madison Avenue firm of Young and Rubicam donated their services to create publicity for Family Theater. Their premise, Peyton wrote, was “if you were going to sell family prayer on radio, you had to use the techniques which had proved successful in this medium for selling soap and automobiles.” In particular, Al Scalpone, a young copywriter at the firm, came up with three lines to sum up the show. Each week the host of Family Theater introduced the show and used these three catch phrases: “More things are wrought by prayer than this world dreams of;” “A world at prayer is a world at peace;” “The family that prays together stays together.” The first statement came from Alfred, Lord Tennyson’s poem, Idylls of the King (1885), echoing William Shakespeare’s Hamlet telling Horatio, “There are more things in heaven and earth than are dreamt of in your philosophy.” As officials at Mutual required, it was a thoroughly non-sectarian sentiment; even Marcus Aurelius or Confucius could have concurred. A skeptic’s doubts about polished slogans aside, homeschoolers and others can find entertainment and inspiration in Father Patrick Peyton’s unexpected apostolate that was Family Theater. In The Honorary Consul (1973), Graham Greene has one of his characters observe, “There were no detective stories in the age of faith. . . . God used to be the only detective when people believed in Him. He was law. He was order. He was good. . . . It was He who pursued the wicked man for punishment and discovered all.” That deficiency of detective stories in medieval times has been corrected by the likes of Ellis Peters’ Brother Cadfael and Susanna Gregory’s Matthew Bartholomew. Since the faith of that so-called Age of Faith survives into our day, there have been fictional twentieth-century detectives who were not only men of faith, but also men of the cloth. Among the most famous are G. K. Chesterton’s Father Brown and Ralph McInerny’s Father Dowling. From its invention in the early nineteenth century by Edgar Allan Poe, detective fiction has attracted millions of steadfast adherents, and in the twentieth century there appeared a fictional detective who combined a moral compass with a roguish streak. In 1928 Leslie Charteris (1907-1993) created Simon Templar, also known as the Saint. Templar was instantly and intensely popular, featuring in dozens of short stories and novels and also in comic books, radio dramas, theatrical films, and television series. The books were out of print but have been revived, thanks to the diligent effort of Ian Dickerson. Just as the books are again in print, some of the movies, radio programs, and television shows are available on-line and commercially. Templar became known as “the Robin Hood of modern crime.” A master of disguise and a deft jewel thief, he turned to righting wrongs by developing a skill for, as Charteris put it, “swindling the swindler.” The stories take Templar from London to New York, Rome to Palm Springs, and show him again and again outwitting the bad guys, dubbed by him “the ungodly.” Charteris thus adapted the old adage about setting a thief to catch a thief. Theologians might question some of Templar’s morality, but in the story “The Blind Spot,” in the collection The Brighter Buccaneer (1933), Charteris noted that everyone has a weakness, an Achilles heel. “The professor of theology,” he mused, “knows the Saint Saga as well as the Epistle to the Ephesians.” True it is that, at least in English-speaking lands, theologians and the clergy seem to have a soft spot for detective fiction. For instance, the Anglican priests and seminarians in P. D. James’ crime novel Death in Holy Orders (2001) are described as being addicted to crime fiction. As addictions go, it barely rates. Some years ago, Father Benedict Groeschel told an audience at Cambridge, “It’s only an addiction if it’s life-threatening.” Probably few cars have been wrecked and fewer marriages ruined by someone hooked on whodunits. In any case, Simon Templar’s adventures won’t cause cancer or ravage the liver. More so than in other crime fiction, the exploits of Charteris’ hero (or anti-hero) ripple with humor. Not surprisingly, an early admirer was P. G. Wodehouse. Templar could well have been Bertie Wooster’s more energetic (and more clever) kid brother. At a crucial point in The Saint Plays with Fire (1938), Templar is in Paddington station racing against the clock, and Charteris gives one of the funniest and most accurate descriptions of a man in a hurry trying to get information from a railway official, the sort of oblivious drudge plodding through his daily routine and who couldn’t give a succinct answer to save his life. The Saint’s sense of fun and fair play can get him into unexpected trouble. In The Saint’s Getaway (1932), Templar is on holiday in Austria, and he and his friend Monty Hayward see a man on a bridge being set upon by some tough-looking characters. Without further ado, Templar and Hayward rescue the man by chucking the toughs into the river. Only later do the rescuers realize that by their impulsive chivalry they had got hold of the wrong end of the stick: the rescued man was one of the ungodly; the toughs were plainclothes policemen trying to arrest him. The result is one long chase scene, and the suspense is not whether Templar will get out of that mess, but how he will manage it. While Charteris’ sense of justice drives each of his stories, his political antennae sometimes quiver in mistaken directions. In the 1930s Templar (and thus Charteris) believed that talk of re-armament merely masked the greed of warmongers and profiteers, but looking back, we must recall that such conventional wisdom, held by the most respectable people, found contradiction by the lone voice in the wilderness that was Winston Churchill. Nevertheless, one turns to the stories of the Saint for the same reason one turns to the tales of Sherlock Holmes or James Bond, not to mention Father Brown or Brother Cadfael. Life is short, and one ought to read something interesting. A slog through the bleak pages of the ponderous Karamazov clan, for example, constitutes a rarefied form of fun. With renewed debate over who should fill a vacancy on the United States Supreme Court, a letter to the editor in an east coast newspaper stands out. Written by a Wall Street lawyer who was also an Army officer, it makes some excellent points. As he often did, Aquinas drew upon Aristotle, in this case the Politics. From ancient Greek philosophy Aquinas learned that the soul also has three parts, intellect, will, desire, corresponding to kingship, aristocracy, democracy. Guiding those parts of the soul, as it does a well-ordered government, is virtue. Although ancient philosophers knew that the human interior is askew, they could not explain exactly why humanity was less perfect than it had been during a distant Golden Age. Aquinas and our battle-hardened Wall Street lawyer share the Judaeo-Christian belief that human nature is flawed from a first Fall, an Original Sin. If one is wondering who writes this way any more in a letter to a newspaper, the cat must be let out of the bag: The author was Alexander Hamilton, and the letter was Number 78 of The Federalist Papers, first published in 1788. He was then around thirty-two, and it amusing to consider that by even twice that age none of us will have written anything as useful or enduring. Ancient, medieval, and eighteenth-century theorists put emphasis on virtue because it is so scarce. Like gold panned from gravel, it needs to be worked into shape. Discipline in virtue takes several forms; for Christians like Aquinas and Hamilton, virtue has seven components: first, from antiquity, prudence, temperance, justice, and courage; then from Christianity, faith, hope, and charity. For Hamilton, any kind of knowledge combining with integrity rarely occurred in the same person. Son of an unwed mother, teenage immigrant from one British colony to another (Nevis to New York), survivor of combat military and political, he had seen a lot of bad behavior. While he did not use that “ordinary depravity of human nature” as an excuse to wallow in self-pity or stay remote from virtue, he was aware of his own failings and knew that not everyone was like his hero, George Washington. Along with James Madison and John Jay, Hamilton wrote The Federalist to persuade people to vote for the new Constitution. Under the name Publius, they wrote to encourage their fellow Federalists and to engage Anti-Federalists, people skeptical of the proposed Constitution. Those skeptics foresaw a time when judges became “dangerous to the political rights of the Constitution,” when legislators prescribed rules to curtail the rights and compel the duties of citizens, when the executive wielded its sword against the community. Why support a new Constitution, asked skeptics in 1788, if human depravity could metamorphose the new government into an enemy of the people? As Larry Schweikart and Michael Allen observed in A Patriot’s History of the United States (2004), “The Federalists . . . brilliantly sidestepped the question of state-versus-federal sovereignty by arguing that the Constitution made the people sovereign, not the state or federal government.” Popular sovereignty, Hamilton promised, survives when free people bear arms. It was at an Open Day at the Oxford and Cambridge Club in London, and as often happens with such jolly events, I had soon reached my limit of fun. A glance at my wristwatch confirmed my sense that I had sufficiently mixed and mingled, and so, adjusting my collar, I drifted towards the door of the room, with its high ceiling and oil portraits of Prime Ministers, and made an unobtrusive exit. As also often happens at such events, upon my exit I made a wrong turn and realized I was wandering down the wrong corridor only when I was several yards along it. At the end of the dim corridor was an open door. Even more encouraging than this light at the end of the tunnel, from beyond the door was the sound of porcelain, of cup and saucer, to be precise. Inside the room sat a blond, clean-shaven man of about forty; he was alone at a small table by a window overlooking Marlborough House. He was elegantly turned out, a crisp grey Savile Row suit, summer tie, and cuff links bearing a heraldic device I could not quite make out. He adjusted his monocle and fixed me with an appraising eye. Her point was that we can get a glimpse into the Trinity by using the analogy of a creative writer, say, a writer of detective fiction. She proposed, for the sake of argument, using the terms Idea, Energy, and Power. As a thought experiment it unclouded our considerations of any difficulty we might have with the biblical terminology of Father, Son, and Holy Spirit. Liturgically, she would have sharply rejected the politically correct substitution of Creator, Redeemer, and Sanctifier. Keeping in mind that analogies limp, for the writer of a crime story, the story begins in the writer’s mind as an Idea; the writing of the story is the Energy; the story’s full force or Power comes only when someone else reads it, interacts with it. How she related that literary analogy to God creating the world is God having the Idea of creation, then the act or Energy of creation, and then His creatures powerfully interacting with Him in prayer and interacting with each other to continue His creation. Of course, I mused, we’re limited because we can think of something, have an Idea or ideal, only because we’ve already had an experience of it. We can have an Idea of a good cup of tea because we’ve had good cups of tea. We’ve also had bad cups of tea, thus sharpening our appreciation of what makes a good cup of tea good. God has no such limitation; as the Bible says, He created the world out of nothing. Preferring not to adjudicate in his presence which eighteenth-century Whig or Tory he most resembled, I noted instead that the point about us creatures co-operating in God’s creation was worth pursuing. After all, I said, God declared, “Let there be light,” and there was light. When we say, “Let’s have some tea,” behind those simple monosyllables looms a vast array of people. For us to have tea there in that room, we were dependent most obviously on the club’s staff, but also on the building’s architects, masons, and carpenters. Then on the people who cultivated and harvested the tea; the people who shipped it and stored it, packed and sold it. The packing and selling called to mind a host of artists and advertisers, accountants and attorneys, as well as the people who made and sold tea pots and tea cups. Mention of prayer reminded me I could probably get to Ealing Abbey for Compline. A discreet glance at my wristwatch, and looking back up, I suddenly saw that I was alone. Yet, in a way, communing even with a literary creature and his maker, one is never really alone. Hartman’s, and Ermey’s, way with words keeps them from being printed in all religious, and most secular, venues. Still, taking profanity into the realm of poetry was not being vulgar for its own sake. Ermey spent eleven years in the U. S. Marines, part of that time as a drill instructor, and he re-wrote Hartman’s lines based upon his own experience of having a limited amount of time for whipping eighteen and nineteen year-old draftees into fighting shape. Whether in his work with the Marine Corps’ Toys for Tots program or as spokesman for Glock firearms or Tru-Spec gear, Ermey became known simply as “the Gunny,” or more often just “Gunny.” In 1972 he retired as a staff sergeant after injuring his shoulder in Vietnam, but in 2002 the Commandant of the Marine Corps recognized Ermey’s ongoing and loyal support of the Marines by making him an honorary gunnery sergeant. After the success and acclaim of Full Metal Jacket, Ermey’s shrewdness and sense of humor allowed him to make a career tapping into Sergeant Hartman’s character, sometimes, critics thought, to the point of self-parody. As a character actor, he staked out realistic territory for himself: His film and television roles ranged from Marines to sheriffs, from a blacksmith to the voice of a green plastic soldier in Toy Story. For those of us who grew up around men who had been in the military, Ermey’s style of therapy seems thoroughly familiar and perfectly understandable. While the precise vocabulary used by Hartman and Ermey (as implied above, after a time, they became publicly interchangeable) might not have been deployed, versions of it sufficed to convey clearly and emphatically various life lessons. Growing up in such an environment let one know where one stood, and one rarely made the same mistake twice. While still trading on his crusty persona, Ermey could lower his voice and use words of more than four letters. Late in life, he became a history instructor, appearing in two series on the History Channel, Mail Call (2002-2009) and Lock n’ Load (2009). In each series he visited battlefields and military bases and explained the function and development of a wide variety of weapons, from Samurai swords to the Jeep, from medieval longbows to modern attack helicopters. Both series became available on DVD, and from Mail Call Ermey and his assistants culled dozens of topics into a handy book of the same name. Like Ermey, Saint Josemaría could be laconic, but he noted occasions requiring blunt speech and even salty verbiage. When stuck in bad company whose heckling of Christian values cannot be deflected by politeness or prayer, Saint Josemaría recommended what he called “the strong language apostolate,” and added, “When I see you, I’ll tell you—privately—some useful expressions.” Such useful expressions can also be learned from Ermey. Both The Way and Gunny’s Rules serve as resources for someone who is expected to fill the role of father figure. Needless to say, whereas Saint Josemaría encouraged strength of character in order to grow in holiness, Ermey encouraged it in order to grow up and avoid a “major malfunction.” For modern Christians, these books can go together in much the same way that medieval monks would put side by side Saint Benedict’s Rule and Seneca’s Letters. In the 1973 Disney cartoon film Robin Hood, King John is depicted as a lion surrounded by sacks of gold coins. Those money bags represent the king’s excessive taxation of his people, an unjust burden Robin Hood seeks to redress. In historical reality, King John is associated with the special coins known as Maundy Money, their annual distribution by the monarch to certain poor folk being known as the Royal Maundy. In 1213, two years before barons and bishops forced him to consent to Magna Carta, King John observed Maundy Thursday by giving thirteen pence to thirteen poor men in Rochester. As Brian Robinson pointed out in his history of the Royal Maundy, Silver Pennies and Linen Towels (1992), King John was in the thirteenth year of his reign, but the thirteen pence for thirteen poor men in the king’s thirteenth year of reigning was a happy coincidence of thirteens: in 1210, King John marked Maundy Thursday by giving gifts of knives and belts to thirteen poor men in Yorkshire. The number thirteen, then, symbolized the thirteen who were at the Last Supper, the Twelve Apostles and Christ himself. Whatever else can be said about medieval English kings, they were Christians. Their coronation liturgy included a bishop anointing them with holy oil, and their regalia, from crown to sceptre to coat of arms, all bore crosses and lions and other Christian symbols. These kings seem to have taken seriously Christ’s mandatum, given on the first Holy Thursday, that His disciples must serve others just as He has served them. For that reason, several medieval and early modern kings observed Maundy Thursday by washing the feet of selected poor people. As King John understood, however profound the symbolism may be of a Christian king imitating Christ the King by kneeling down in what today is called “servant leadership” to wash other men’s feet, people appreciate tangible reminders of a great occasion. Gifts of knives or clothing soon became more portable in the form of coins. Even royal generosity has its limits, and more than a century after King John, in 1363, King Edward III began a custom still followed, that the number of coins handed out by the king was equal to the number of years he had been alive. Initially, the coins given by the king at the Royal Maundy were ordinary coins of the realm, but in 1662, King Charles II, “the merry monarch,” ordered the minting of special silver coins just for the Royal Maundy. To look at it another way, beginning when William Penn was eighteen, English monarchs have issued special coins for the Royal Maundy. From that day to the present, Maundy coins have been collector’s items. Medieval kings were itinerant, riding an annual circuit around their kingdoms. King John’s Royal Maundy ceremonies took place at various locations, but more often than not, the Royal Maundy ceremony occurred in London, usually at Westminster Abbey or Saint Paul’s Cathedral. Under the current monarch, the older practice has returned, the Royal Maundy having become again a moveable commemoration, perambulating year by year from one cathedral to another. In terms of its traditional choreography, the Royal Maundy ritual contains certain essential elements. In addition to the monarch, there is the Lord High Almoner, who is a bishop, and there is the local bishop. Needless to say, all these dignitaries have assistants and entourages, and Yeomen of the Guard carry the coins in special red or white leather pouches. Meanwhile, a choir from the hosting cathedral sings Handel’s “Zadok the Priest” and the national anthem. Everyone is in his or her finery, and at every turn people, including the king or queen, carry small bouquets of flowers, called nosegays. When a numismatist collects or catalogues Maundy Money, each coin is like the top of a pyramid. Part of the pleasure of collecting coins, or any other man-made thing, is the contemplative practice of becoming aware of the vast network of people and the continuity of millennia that array behind every single coin. To mine the silver, to transport it, to design the coins, to mint them, to guard them, to schedule the Royal Maundy event, from the florists to the tailors, from the chauffeurs to the person who makes sure there is plenty of tea on hand, all that and more gleams back at someone who is admiring one of those little silver coins. What remains to be considered is a spiritual commemoration being famous for its money. A cynic could complain that once again grubby materialism spoils a religious occasion, or more to the point, that in the end, religion is all about money. Even a religious person must note the uncomfortable fact that among Christ and His disciples, the money box was kept by Judas. In itself, money is neither good nor bad; it is greed for gain that brings the ruin of sin. Like the pagan Roman emperors before him, Constantine the Great, the first Christian emperor of Rome, issued coins bearing his image. During those early centuries of her history, the Church in a sense baptized numerous features of ancient culture from before the time of Christ, whether architecture or literature or coinage. Coins and Christianity have long gone hand in hand. This Christian adaptation of an existing culture relates directly to the Incarnation and Christ being fully human and fully divine. He knew well the use of coins, whether a coin of Caesar used by Pharisees to test Him, or a Temple coin used by a poor widow. He used coins to pay His taxes, and, without intending any irreverence, when He told Saint Peter to catch a fish and take the coin out of it, Christ seems to be saying what every coin collector knows, that often the coin one has been looking for turns up in the unlikeliest place.